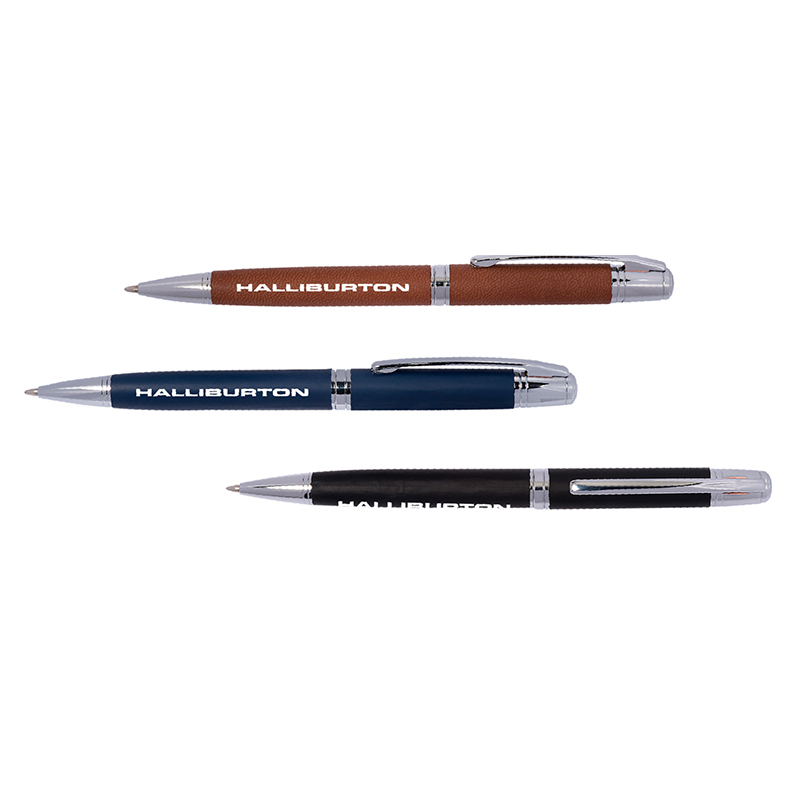 Copper ball pen with soft Tuscany™ Italian PU exterior wrap and stainless steel accents. Includes black medium point ink cartridge. Twist action mechanism. Colors Available: Black, Navy, Blue, Tan.